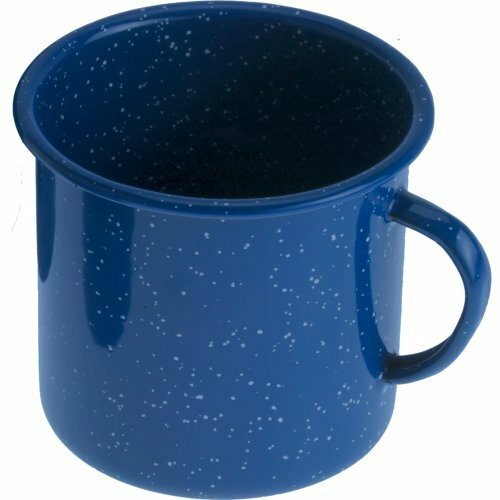 This classic enamelware cup blends rugged durability with old-fashioned good looks. Made from heavy-gauge steel with a cheerful speckled enamel finish, it looks equally at home at the campsite or gracing a rustic farmhouse table. Dishwasher safe and appropriate for indoor or outdoor use, it’ll stand up to years of service. All GSI Outdoors products are fully warrantied to the original owner against manufacturer's defects in materials and workmanship. GSI: Feeding your love of the outdoors since 1985. Beginning with a few pieces of blue enamelware and a smattering of campfire accessories in 1985, GSI Outdoors continues to create unique, imaginative, and fun products that enhance the outdoor experience – including stainless steel and enamelware cookware, tableware, coffee percolators, water bottles, and more.